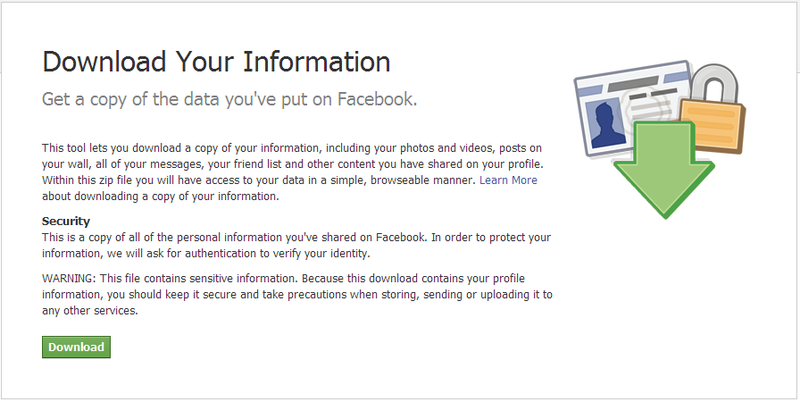 Looks like Google has won their data liberation slapfight with Facebook at last. When I was checking my Facebook settings to see if there is something related to new messaging system, I found something more interesting: there is now an option to download your user data from Facebook, which includes all your data (updates, photos, posts etc.) as well as your friend list! Facebook still says that “Your download is currently being generated. You will receive an email when it’s ready”, I will inform you once i got their zip. Update: Downloaded the zip file generated by Facebook. Unzipping it produced a directory tree containing HTML files and hotlinked stuff in separate directories. When you browse your friend list using the sidebar navigation at “index.html”, you only see your friends names, without any other information about them, no emails! Also, no email’s in the “friends.html” page code either.